I read the collected Planet Hulk storyline when I heard it was going to be part of Thor: Ragnarok and Comixology had it on sale. I also read a collection of the first several Hulk stories, as I hadn’t before. He’s an interesting character, but it seems like even early on they weren’t quite sure what to do with him. He’s not really a hero or a villain, although he plays both roles at various times. Instead, he largely wants to be left alone and get rid of anyone who’s bothering him, destroying anything in the way. Bruce Banner starts out changing to the Hulk at night, then finds a way to transform back and forth at will with a gamma ray machine, which really seems to me to be tempting fate. Sure, the FIRST gamma blast gave you super powers instead of cancer, but who’s to say it will continue to do that? This version of the Hulk retains Banner’s intelligence, but he’s later back to being an out-of-control brute. 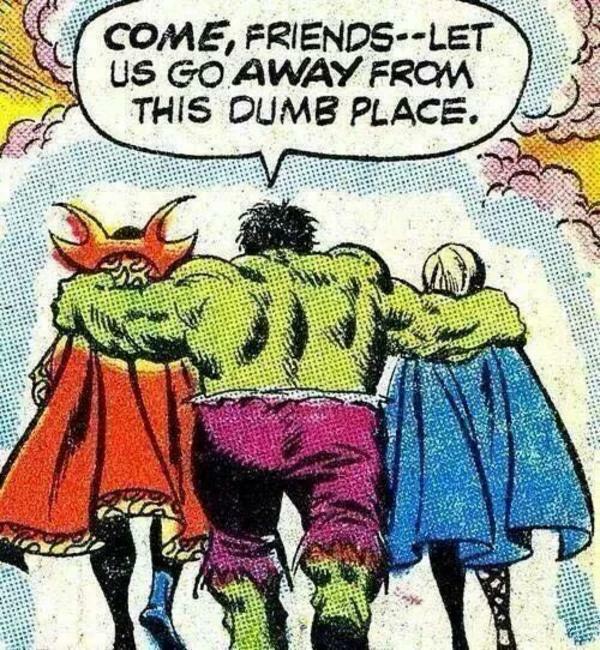 He’s a charter member of the Avengers, but is at odds with them at times. Even when in his most famous “Hulk smash” mode, he’s not really stupid, just driven by emotion. He’s aware of his alter-ego, but doesn’t like him. 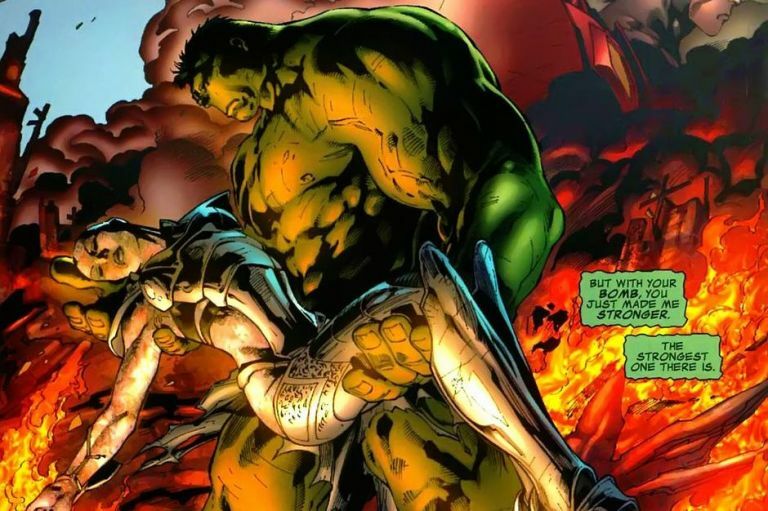 The Hulk developed as a representation of the repressed part of Banner’s psyche, as he’s emotionally reserved and dealing with childhood trauma. Stan Lee has cited Frankenstein’s monster, Dr. Jekyll and Mr. Hyde, and the Golem as influences on the character. I think there’s also a bit of the berserker, or of Cuchulainn from Celtic mythology when he goes into rage mode and is a practically unstoppable fighter but unable to distinguish between friend and foe. Banner has a young sidekick named Rick Jones, who I believe later goes on to be Captain America’s and Mar-Vell‘s sidekick. 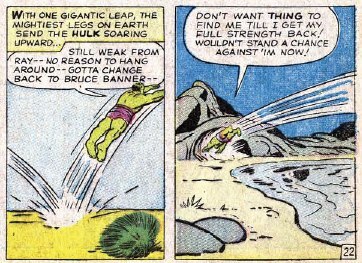 Oh, I also like how Hulk is able to travel great distances simply by jumping, although I guess that’s also what Superman did before he started flying, which I understand was mostly because it was easier to show in the animated shorts. The Planet Hulk arc shows the green guy as able to successfully lead a revolution, rule a planet, and raise a family, while only very briefly turning back into Banner. After a warp core explosion in the ship that brought him to Sakaar, much of the planet is destroyed, and Hulk returns with his surviving allies to Earth to get revenge. He eventually finds out that, even though his fellow superheroes did trick him into leaving the planet, it was loyalists of the former king who actually planted the defective core. Miek was aware of this, but didn’t tell the Hulk. 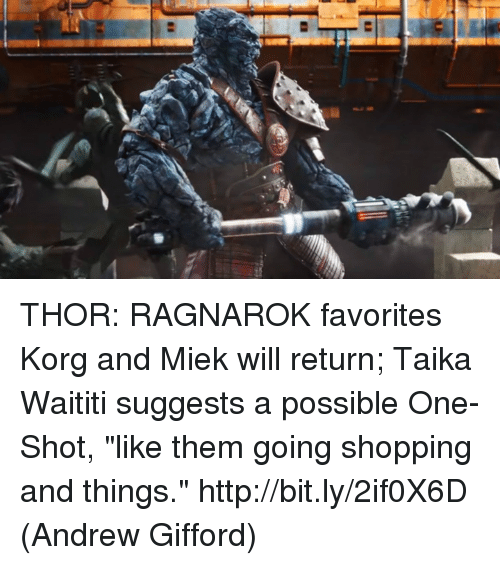 Miek is in the movie, but the part about his being a traitor wasn’t retained. I don’t know if it will show up later, but I have seen talk of both him and Korg reappearing in later films. There’s also a six-part Comixology-exclusive Thor vs. Hulk series written by Jeremy Whitley, the writer of Princeless, that sees the two of them performing various challenges for a stylish cosmic being known as the Promoter. I understand that Marvel hasn’t made any more solo Hulk films because of their deal with Universal, but I do wish they’d provided some closure with Betty Ross instead of just casually getting Bruce into another relationship. Oh, well. I don’t think anybody really watches these superhero movies for the romantic subplots. It does seem pretty consistent that women Hulk has feelings for can calm him down, while for Cuchulainn it was just any naked women. This entry was posted in Book Reviews, Celtic, Comics, Monsters, Mythology, Relationships and tagged avengers, betty ross, cuchulainn, jeremy whitley, miek, planet hulk, rick jones, stan lee, the incredible hulk, thor, thor ragnarok, thor vs hulk champions of the universe, world war hulk. Bookmark the permalink.